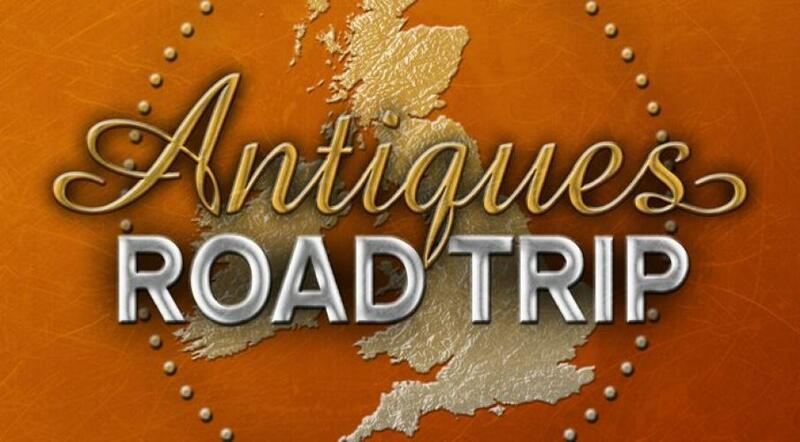 When will be Antiques Road Trip next episode air date? Is Antiques Road Trip renewed or cancelled? Where to countdown Antiques Road Trip air dates? Is Antiques Road Trip worth watching? Antiques experts travel across the country, competing to make a profit at auction. Anita Manning and Raj Bisram, each armed with ú200, take a 1973 Triumph Spitfire on a B-road romp around East Anglia hunting for treasures to take to auction in Beeston, Norfolk. Along the way, Anita uncovers the little-known story about a local hero, anti-slavery campaigner Thomas Clarkson, and Raj hears about an agricultural pioneer at the stunning Holkham Hall. Antiques experts travel across the country, competing to make a profit at auction. Anita Manning starts this leg negotiating hard in an attempt to take the lead. Behind the wheel of a Triumph Spitfire, they shop in Norfolk, heading for an auction in Stansted Mountfitchet, Essex. Anita learns about much-forgotten Norwich lad Vernon Castle, who was once a global dancing phenomenon. Taking a break from antiques, Raj heads to the stunning Blicking Hall to find out about its controversial former owner, Lord Lothian. Antiques experts travel across the country, competing to make a profit at auction. Anita Manning and Raj Bisram take in the delights of Suffolk, Kent and Surrey before heading back to Essex for their third auction. Anita rests from shopping to visit a former silk mill with an incredible royal connection. Meanwhile, Raj hears about the birth of interior design and the pioneering artist behind it William Morris. Antiques experts travel across the country, competing to make a profit at auction. Anita Manning and Raj Bisram hit the road for the penultimate time, with Anita finding an eastern deity figure she hopes will attract big bids. The gorgeous Kent towns of Deal, Sandwich and Faversham host the twosome for shopping. Anita learns about Whitstable oysters, and Raj detours to hear how thousands of boys became naval officers in the area. Antiques experts travel across the country, competing to make a profit at auction. It is the final leg of the road trip with Anita Manning and Raj Bisram. Raj, on his home turf in Kent, learns about WWII's Operation Dynamo and the 'Dunkirk spirit'. Meanwhile, Anita pops to Canterbury to uncover the story behind the bloody murder of Thomas Becket at the cathedral. Antiques experts travel across the country, competing to make a profit at auction. Charles Hanson and James Braxton set off behind the wheel of a 1964 German DKW 1000 Coupe as their hunt for antiques starts in the Scottish Highlands. James is drawn to a filthy yet well-made kilim rug, and Charles uncovers some Jacobite-period copper ladles. James rests from shopping to hear about Bonnie Prince Charlie's defeat at Culloden. Meanwhile, Charles goes on an a boat trip to learn about the Caledonian Canal and the engineering marvel who built it. The old chums reunite to sell at auction in Aberdeen. Antiques experts travel across the country, competing to make a profit at auction. Charles Hanson and James Braxton continue their Scottish road trip. Starting in Inverkeithing, they drive through Fife and Perthshire, picking up antiques to sell at auction in Dundee. James hopes a gamble purchase of an expensive Chinese rosewood table will help his cause. Meanwhile, Charles detours from the shops to hear how one man's passion for birds inspired him to be the first human to fly, while James uncovers the story of a top-secret naval base and its role in winning World War II. Antiques experts travel across the country, competing to make a profit at auction. James Braxton and Charles Hanson travel south from Glasgow, shopping in Ayrshire and Lanarkshire, before selling at an auction in Hamilton. James is bowled over when he sees an arts and crafts oak table, while Charles is knocked for six after finding some rare, 2,000 year old Roman nails which were excavated in Scotland. James stops in Ardeer to hear why the local beach is connected to the Nobel Peace Prize, and Charles stops off to hear about a local man who became a pioneering social reformer. Antiques experts travel across the country, competing to make a profit at auction. An unreliable classic car has Charles Hanson and James Braxton complete this leg on foot. After buying antiques in Perthshire and the Lothians, Charles hears how drovers would move cattle from the Scottish Highlands to market in Stirling and has a jolly good go at it himself. Meanwhile, James learns about Einstein's inspiration and one of the greatest scientists in history, James Clerk Maxwell. He hopes a charming little lead donkey means big profits at the auction in Cumbria. Antiques experts travel across the country, competing to make a profit at auction. It is the last leg of the road trip for James Braxton and Charles Hanson. Starting in Scotland, they head south over the border to take their final purchases to auction in Berwick-upon-Tweed. Charles dresses in full Highland regalia to hear how Sir Walter Scott reinvented tartan. Meanwhile, James discovers the story behind one of the most intriguing incidents of World War II. James believes silver antiques will give him victory, but Charles plumps for a little porcelain King Charles Spaniel. Who will be crowned king of this road trip? Antiques experts travel across the country, competing to make a profit at auction. Philip Serrell and Catherine Southon set off from the midlands in a 1970 Citroen DS20 on a brand new road trip. They hunt for antiques in Birmingham and Stratford-upon-Avon, before heading to an auction in Salisbury. Phil spends a lot of his cash on a 19th-century butter churn, whereas Catherine finds two attractive 1940s compacts. When they are not shopping, Phil discovers the roots of lawn tennis, and Catherine uncovers the story of how a third of the world's needles once came from Redditch. Antiques experts travel across the country, competing to make a profit at auction. Catherine Southon and Philip Serrell continue their antiques adventure in a classic Citroen. In Winchester, Catherine finds a jolly nice croquet set and, in Alton, she finds a rare 1930s novelty biscuit tin, both of which give her a chance of huge profits at auction in Christchurch. Meanwhile, Phil learns how flying boats gave us the word airport. Catherine unravels the story of a top-secret unit of World War II spies working in occupied Europe and the crack team of code deciphers back here in Blighty tasked with keeping their undercover colleagues alive. Antiques experts travel across the country, competing to make a profit at auction. The third leg of this antiques odyssey with Catherine Southon and Philip Serrell sees them taking the old Citroen through the west country. Catherine decides to change her buying strategy, going for more of Philip's rust-and-woodworm fare. True to form, Phil diverts to the beach and asks a local fisherman if he has some antique chandlery to sell. When not shopping, Phil heads deep underground to see where miners have extracted Beer stone for two centuries, which has been used to build some of Britain's most famous buildings, including Westminster Abbey and the Tower of London. Meanwhile, Catherine goes giddy when she learns how Bakelite changed the world and even put man into space. Antiques experts travel across the country, competing to make a profit at auction. Catherine Southon and Philip Serrell are travelling along the beautiful Cornish coastline in a classic Citroen DS20. Before the auction in Bristol, Catherine heads to Porthcurno to see first hand the incredible cables that stretch from this little village, along the sea bed, to South America, Australia and India. Meanwhile, Phil goes for a ride on a replica of the Puffing Devil, one of the first steam-powered vehicles in the world. Antiques experts travel across the country, competing to make a profit at auction. Catherine Southon and Philip Serrell battle it out for the last time. Travelling through south Wales, the old Citroen DS20 takes them to the final auction in Wells, Somerset. Catherine heads to the Royal Mint and finds out how Sir Isaac Newton revolutionised coins to prevent forgers making a fortune. Phil breaks from shopping for a little lesson in culture at the Bristol Old Vic and discovers why it is a miracle the building still stands today. At the final auction it is the battle of the watches. Phil and Catherine each buy fascinating timekeepers, but which one will make the most profit? Paul Laidlaw and Claire Rawle start their adventure in Northumberland before heading for auction in Darlington, behind the wheel of a classic TVR sports car. Paul discovers the sporting mecca that once was The Morpeth Olympics and Claire finds out about the female Indiana Jones of the early 20th century, Gertrude Bell. Everything's rosy until Claire mentions she loves militaria, Paul's specialist area! Worse still for the veteran Road Tripper, when Claire's World War One collectable goes under the gavel, it makes a small fortune. The second instalment of this road trip adventure with Paul Laidlaw and Claire Rawle begins in the city of Sunderland. Claire finds out about the Tynemouth Volunteer Life Brigade and military-mad Paul goes giddy when he visits a military observation post in Blyth. The competition is well and truly on. Paul finds some RAF stereoscopic aerial reconnaissance photographs of German U-boats at a great price, but will they make the big profit he needs to clinch victory from new girl Claire when they go to auction at East Boldon, Tyne and Wear? Setting off from Scarborough, Paul Laidlaw and Claire Rawle end with an auction in Beverley, East Yorkshire. Claire detours from the route to discover the history of big game fishing in 1930's Scarborough. Meanwhile Paul sets off on a special mission to rendez-vous in a secret World War Two bunker somewhere in the East Riding of Yorkshire. Paul buys an interesting snuff box and a pair of Charles Barlow vases, Claire picks up an early 20th century spectacle case containing a pince nez and some railwayana. In this penultimate road trip, Paul Laidlaw and Claire Rawle start in Hull, motoring their TVR Tuscan around the north east of England. Paul finds a rare 18th century puzzle jug, a charming novelty of the period. Claire hopes some Shelley porcelain will do well at auction. When not buying antiques, Paul discovers how the port of Hull was vital to thousands of Jews fleeing from Tsarist Russia and Claire is agog when indulging her passion for all things railway by hearing about an early pioneer of steam locomotives. Claire lags behind antiques maestro Paul who has racked up big profits. Can the new girl beat the old master today? Paul Laidlaw and Claire Rawle set off on the final road trip leg from the Derbyshire town of Matlock. Militaria mad Paul hopes a late 17th-century hand-forged halberd head earns him a huge profit. Claire buys a Chinese cloisonné vase and an Edwardian inkstand. Paul also unravels the story behind the world-famous crooked church tower at Chesterfield and Claire meets a relative of the first man to circumnavigate Australia, who hails from the Lincolnshire town of Donnington. Will Claire be the comeback kid and crush the mighty Laidlaw? The pressure is on at the final auction in Stamford, Lincolnshire. Antiques Road Trip next episode air date provides TVMaze for you. EpisoDate.com is your TV show guide to Countdown Antiques Road Trip Episode Air Dates and to stay in touch with Antiques Road Trip next episode Air Date and your others favorite TV Shows. Add the shows you like to a "Watchlist" and let the site take it from there.